Milk has been proved to be the rising cause of Osteoporosis. Researchers (Harvard and Swedish Studies) found that milk drinkers have significantly more bone loss and hip fractures than non milk drinkers. But don’t get too sad just yet, because as always, there is an alternative to this cow’s secretion that will still allow you to enjoy some of your favorite meals. 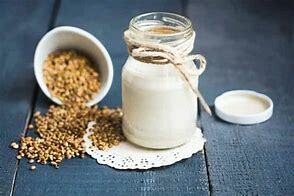 The following recipe is for Hemp Milk, and is ten times healthier for consumption. Hope you enjoy! Preparation: Blend all ingredients for 3 minutes. Store in glass jar and use in your soups, cereals, etc. It is good for up to 4 days refrigerated. No diary. No preservatives. No added chemicals! This was really simple but Eye’m aware of how many people are dependent on Milk, so Eye hope this provides a little help towards a healthier you! FAQ	Built with Storefront & WooCommerce.